If you're a student looking for a stylish room or a flatshare in Brisbane, you're in the right place! 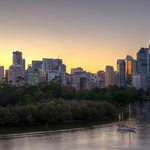 If you need any further help finding your ideal student accommodation in Brisbane, or would like to advertise a student residence, then please get in touch. Sorry. Your search did not find any results. Please try another search. Why not have a read of the Brisbane city guide?